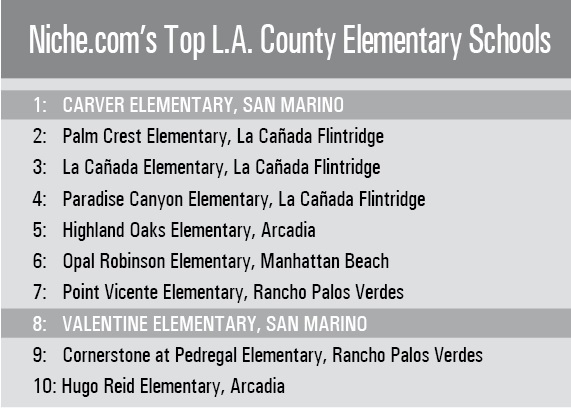 The San Marino Unified School District continues to reap superlatives, with the community research website Niche.com placing the school system and its individual campuses at or near the top of their categories in Los Angeles County this year. The district — which has long received glowing assessments from the state — and each of its four schools earned A+ grades this year from the website. In appraising districts, Niche combines standardized evaluation metrics with data concerning academic and other offerings and demographics and also considers student and parent reviews to determine its grades. 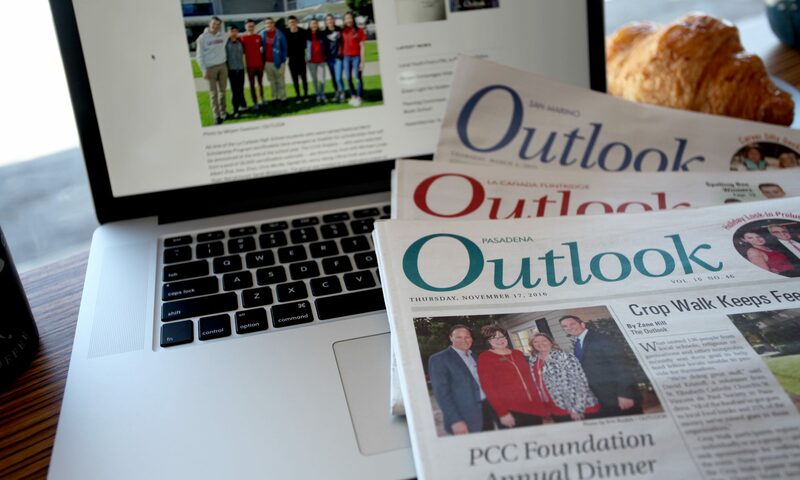 Food, extracurricular activities, academic resources and student diversity are among data points considered. In L.A. County, the district shines. Carver Elementary School is ranked as the top elementary school in the county, while Huntington Middle School took the crown as the No. 1 middle school. Carver, like all elementary schools, was evaluated specifically on its academics, diversity and teachers. It received an A+ on academics and teachers and an A- on diversity, and the website noted the school’s 22-1 student-to-teacher ratio, 90% math proficiency and 89% reading proficiency. Additionally, Carver was ranked the 13th best elementary school in California. Valentine Elementary School, with an A+ in academics, an A- in diversity and an A in teachers, was ranked the No. 8 elementary school in L.A. County, and also the No. 35 in California. Niche pointed to a 22-1 student-to-teacher ratio, 90% math proficiency and 94% reading efficiency. HMS, which had an A+ in academics and teachers and an A- in diversity, also boasted a 21-1 student-to-teacher ratio, 84% math proficiency and 87% reading proficiency. San Marino High School was ranked the No. 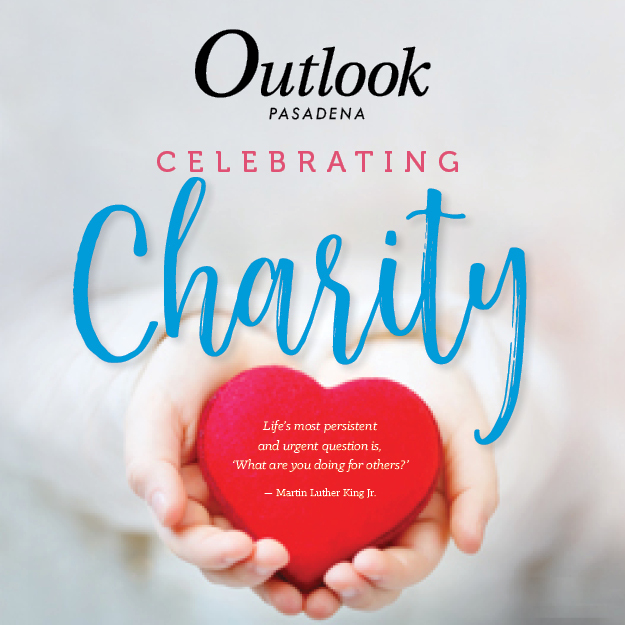 2 high school in L.A. County, earning an A+ in academics, teachers, administration and college preparedness, A in food as well as health and safety, A- in diversity as well as resources and facilities, B+ in clubs and activities and B in sports. The school also has a 21-1 student-to-teacher ratio, 78% proficiency in math and 82% proficiency in reading, Niche said. 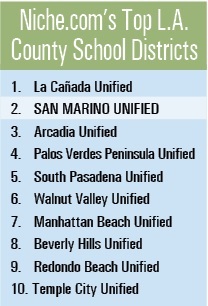 Among districts in L.A. County, SMUSD was ranked No. 2, earning an A+ in academics, teachers and college preparedness; A in health and safety, administration and food; A- in resources and facilities; B in clubs and activities as well as diversity; and a C+ in sports. The district overall has a 22-1 student-to-teacher ratio, 85% math proficiency and 87% reading proficiency. These rankings consider traditional public schools and districts in L.A. County and exclude magnet and charter schools.